Heat Oil in a kadai. Add Cumin seeds, Fennel seeds & Hing. Fry for 15 secs. Add Cinnamon, Cardamom, Cloves & Bay leaves. Fry for 10 secs. Add Onion & fry till soft. Add Ginger-Garlic paste & Green chillies. Fry for a min. Add Tomato, Curd, Turmeric powder, Red chilli & Garam Masala powder. Boil for a min. 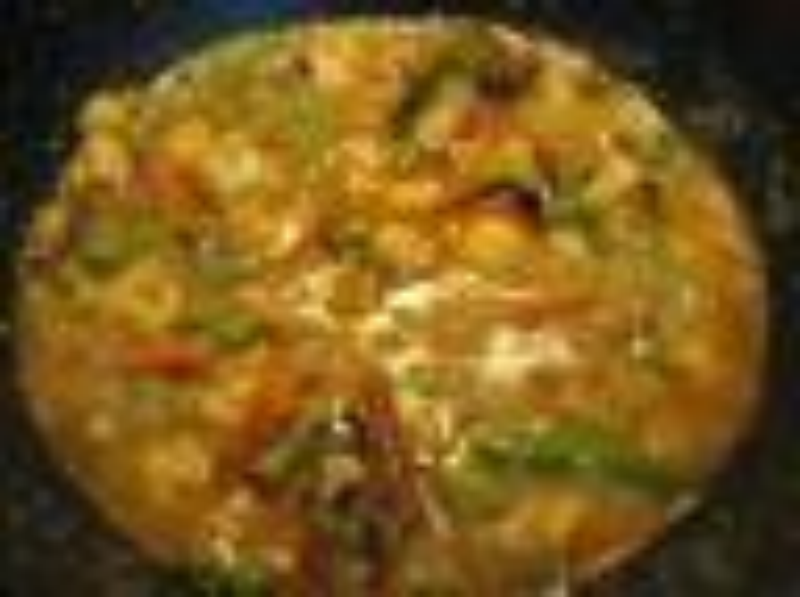 Add boiled Vegetables, Coconut paste & Cashew nut paste. Mix well & boil for 3-4 mins. Add Salt & mix well. Remove from heat. Add chopped Cilantro & Fresh cream. Mix well, cover & keep aside for 5 mins. Serve hot with Steamed Rice, Chapati or Roti. seems very delicious I will definitely make it in weekend. thanks for sharing. Many thanks, to the person who created this wonderful recipe. Indeed, the preparation came out exceptionally delicious. Couldn't resist licking my finger in the end of having my meal. Keep up the good job! Many thanks, for the person who created this wonderful recipe. Indeed, the preparation came out exceptionally delicious. Couldn't resist licking my finger in the end of having my meal. Keep up the good job!